The Honeymoon Killers is a 1970 American film written and directed by Leonard Kastle, and starring Shirley Stoler and Tony Lo Bianco. It tells the story of Martha Beck and Raymond Fernandez, the notorious "lonely hearts killers" who murdered at least 12 women in the 1940s. The soundtrack is a selection from the works of Gustav Mahler. Based on the true story of Raymond Fernandez and Martha Beck, who met through a lonely-hearts correspondence club, Ray is weedy, feral, and untrustworthy; Martha is enormous, compulsive, and needy. Together, they play out a horrifying scheme in which he lures lonely women out on dates and proposes marriage to them, with she pretending to be his sister. They take the women's savings and then murder them remorselessly. Dank, claustrophobic, and weirdly engrossing, this movie never quite gives in to the comforts of conventional narrative. 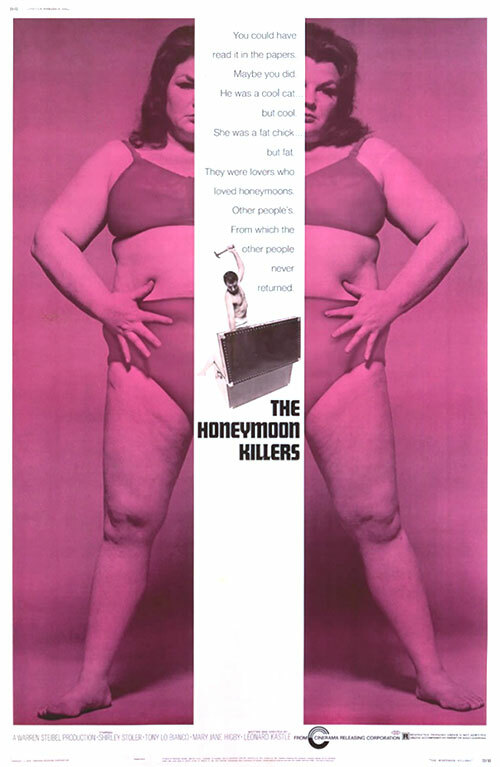 0 Response to "The Honeymoon Killers (1969) Leonard Kastle"